Running a side business from home is a great way to earn some extra income, work on something you enjoy and fulfil your entrepreneurial ambitions. But, as appealing as it sounds, the one thing that holds a lot of people back is that they think that they won’t have the time. But the solution is not about getting more time, as we all have the same 24 hours in each day. The key is to manage the time available and make it work more effectively. A regular job requires you to be at that job at a specified time on specified days of the week. You need that same kind of structure when you have a part time home business. You might be surprised to discover how much time you’re actually wasting when you’re not at your regular job and running a part time home business is really possible. Here are 7 tips to help you find time to run a side business from home whether you hold down a full time job or not. 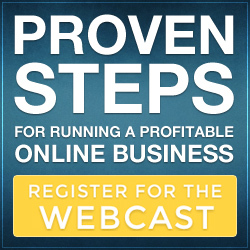 An online business is one of the best side business ideas for 2015. It’s no secret that more and more people are buying goods and services online. E-commerce is the fastest growing retail market with an estimated US$520 billion spent online last year and this is set to increase year on year. Currently 43% of the world are online (3 billion people) and this increases everyday. In addition to the huge potential audience, the low start-up costs and time-saving automation, you can set up a part time home business online even if you don’t have your own products to sell. If you have a day job that currently pays the bills, even if you don’t like it, you probably can’t afford to give it up. So, you will have to find some time to work on your online side business. To do this, you can get up an hour earlier in the mornings, work two weekends a month or spend your lunch hour working on your internet business. If you commute to work via train you can work on it then, too. You can also cut down on the amount of hours you spend sitting in front of the television. Don’t let any technology worries of starting an online side business put you off. The internet is full of easy start up business ideas and if you can send and email and search the web using a search engine, you can do it. You can use small pockets of ‘dead time’, for example driving to work, waiting in offices, waiting in airports, waiting for the bus etc by being productive. You can read or listen to things that will help in your business and increase the efficiency of your daily tasks. There are many podcasts that provide a wealth of information that you can download your mobile or tablet device. Written lists are one of the best tools when you’re running a side business. After you have written your list, give each item a numbered ranking based its priority. Set up time tables to help you prioritize what you need to do. You will get a lot more done in a lot less time if you know in advance and can see at a glance what task is next on your list. There are many distractions when working online, from emails, other websites and social media etc, so deliberately switch off these distractions whilst you are working. When you make your schedule, you need to be certain that the tasks that you are doing will make your business grow and thrive. Don’t waste your time, effort and energy on tasks that can be done by others. You can outsource such tasks as graphic design, article writing, website construction. Others can do these tasks better and more efficiently than you can and your time is better spent on growing your business. Also take advantage of online software that can automate tasks for you. In order to make the most of the time when you are working on your side business, it is important to prevent interruption. In this way, you can get into momentum or flow. Anticipate what may interrupt you, such as your phone, people around you, or the Internet, then take the necessary steps to eliminate any possible interruption as much as possible. Not everything will go to plan and at some stage you may very well get stuck and require skills or advice that are outside your immediate field to complete certain tasks. Find others who have those skills and might be interested in working with you or find a mentor who can help you to avoid any potential pitfalls.This will increases your productivity drastically. When setting up a part time home business, it’s not so much about finding the time as it is taking the time. Today will soon be yesterday and you won’t ever get that opportunity back. It’s worth noting that very few people have succeeded with part time work from home opportunities without any help or guidance. 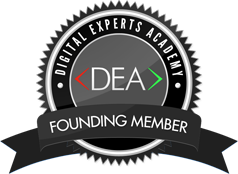 To discover how to get your home business ideas really moving in the right direction, check out this FREE Presentation from the world’s first digital marketing academy. It has specifically created to teach entrepreneurs the proven steps and strategies for starting and building a legitimate part time home business. This entry was posted in Online Business, Work from home and tagged Best Work From Home Business, home business opportunity, How to Build a Succesful Online Business, part time home business, side business, why set up an online business, why start an online business, work from home on May 27, 2015 by Jon Allo.